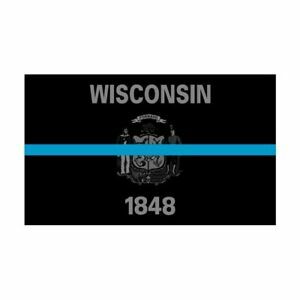 Wisconsin WI State Thin Blue Line Police Sticker / Decal #224 Made in U.S.A.
thinbluelinedecals has no other items for sale. - Select - 1"x2" 2"x3" 3"x5" 4"x6" 5"x8"
There are 4,998 items available. Please enter a number less than or equal to 4,998. Sales tax may apply when shipping to: CA(7.375%), IA*, MN*, WA*.